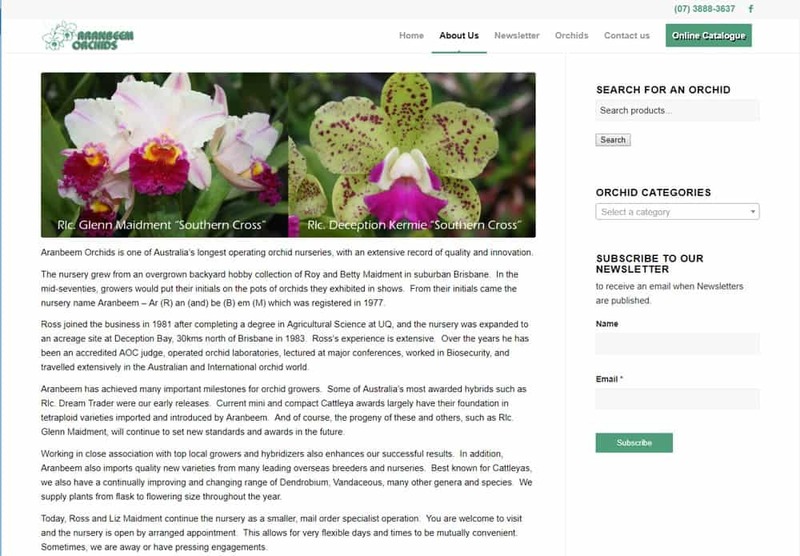 This website was designed for ease of use, and to display the vast range of Orchids available for purchase. Online ordering needs to be a simple process to convert visitors to buyers. The layout of products into easy to distinguish categories helps in this process. 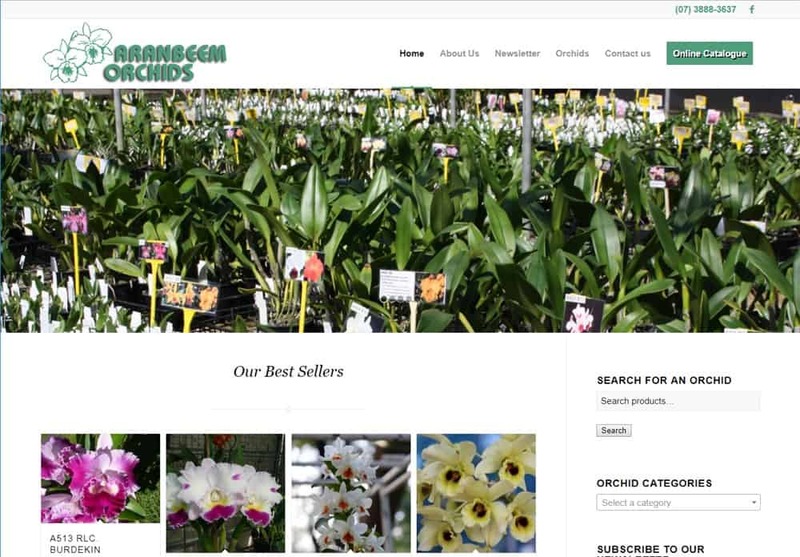 It features a Home Page Slider, Subscriber News Blog, Online Catalogue for download, Contact Us, and eCommerce. 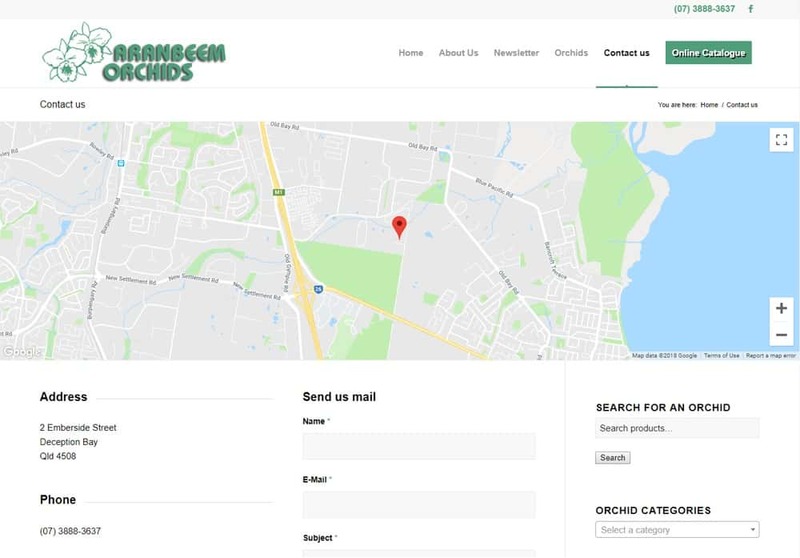 Aranbeem Orchids is one of Australia’s longest operating orchid nurseries, with an extensive record of quality and innovation. 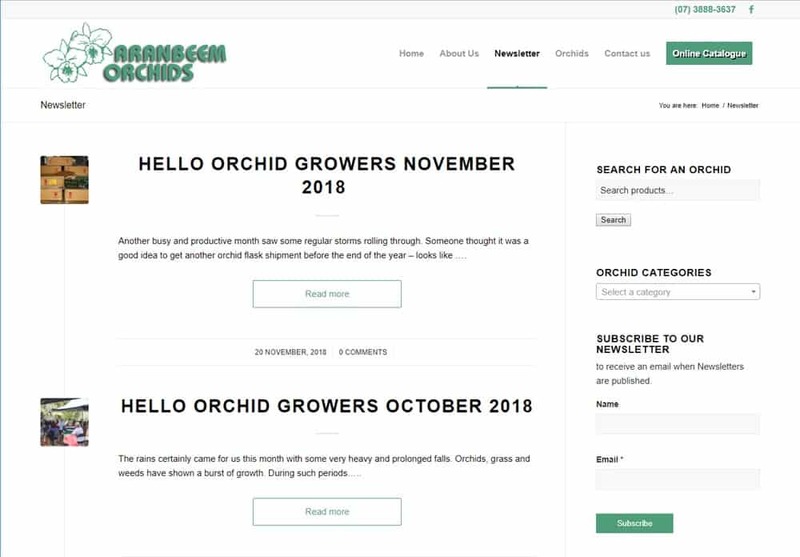 The nursery grew from an overgrown backyard hobby collection of Roy and Betty Maidment in suburban Brisbane. 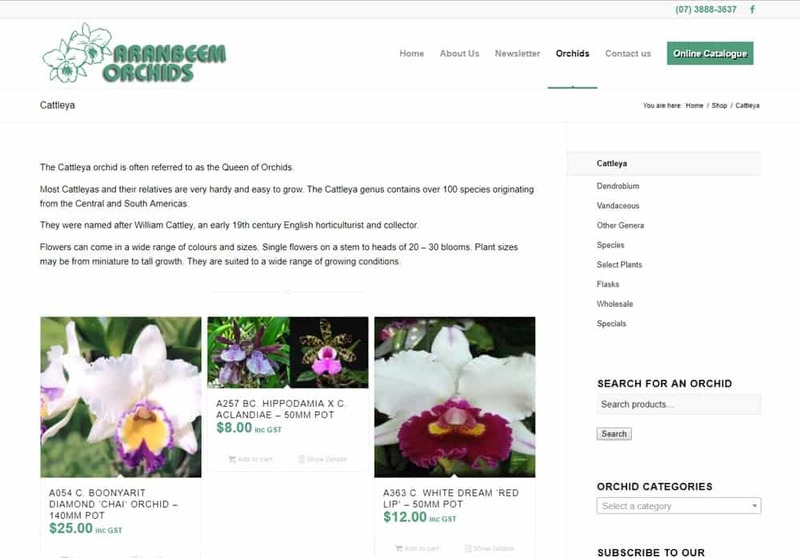 In the mid-seventies, growers would put their initials on the pots of orchids they exhibited in shows. From their initials came the nursery name Aranbeem – Ar (R) an (and) be (B) em (M) which was registered in 1977. After years of being scared of entering into the world of websites and internet platforms we found Spotty Dog. What a lot of wasted anxiety. Iain has led us through the process so professionally effective and at no stress. We now have a totally modern and revitalised business.